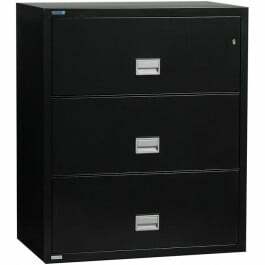 Insured, warranted, and guaranteed to protect your documents from fire, water, impact, and smoke damage, the Phoenix fireproof file cabinets leave nothing to chance. 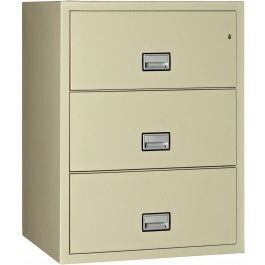 Every possible insurance feature has been manufactured into these files to produce the highest quality and most affordable cabinets on the market today. A High Security Key Lock is included on every cabinet and includes two keys. 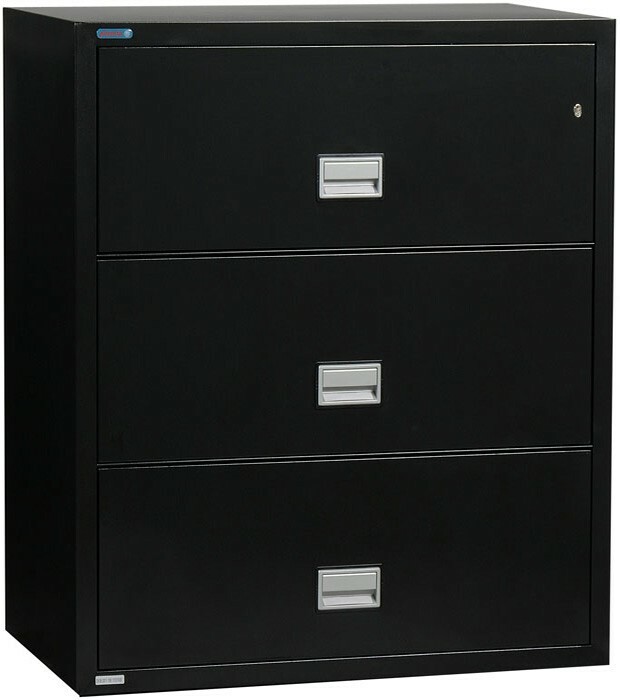 The lock is located on the top drawer and immediately unlocks all drawers at once. If you want to leave a drawer continually unlocked a lock-bypass mechanism allows selected drawers to remain unlocked while others stay locked. Fireproof Rated 350 1-hour for documents and paper. These fireproof files are tested for fire at 1700 degrees Fahrenheit and explosion tested at 2000 degrees Fahrenheit. This is the industry standard for fire protection, and no file with this rating has ever failed to protect its documents in a fire. Impact Rated. The impact test includes dropping the cabinet 30 feet onto concrete rubble, then reheating in the fire. This simulates actual conditions in a fire when the floor gives out. This will also protect you in the event a roof caves in or a concrete wall falls onto the cabinet. Water Resistant: Water can do as much damage as a fire, and that is why it is important to have this protection. The Phoenix Labyrinth sealing system and special gaskets prevent water damage caused by fire hose spray or sprinklers. Digital Protection: Protects computer storage devices such as CDs, DVDs, USB drives, and memory sticks/cards. Anti-tip safety mechanism prevents more than one drawer to open at a time. Drawers have a rugged three-way suspension system to provide stability and ensure smooth and easy movement, even when fully loaded. Each drawer is a separate insulated container with an inner steel jacket keeping insulation locked and out of sight. This keeps the fire from jumping to another drawer if one drawer is accidentally left open. Also, it prevents access to a locked drawer if one drawer is left open. Extremely durable oven-baked textured enamel paint finish will not leave fingerprints. 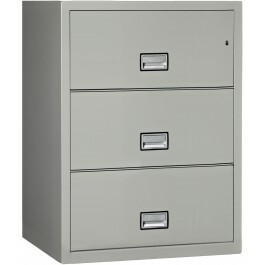 Filing Possibilities per Drawer: 2 Rows of Letter Front-to-Back, Legal from Side-to-Side, Letter from Side-to-Side. All accessories are included to file both legal and letter size documents, either hanging or standard folders from front-to-back or side-to-side.